The Comfort Care "Great Lakes Plush" is one of Restonic's most stand-out models from an award-winning line. It's referred to by the manufacturer as the company's "Triple Threat" because it offers three luxury features that work together to produce a superior sleeping surface: 1. The "Marvelous Middle" section - its middle third has a higher concentration of both coil and foam where you need it the most, 2. a luxury Latex layer on each of its sleepable sides and 3. a Gel-Infused Tempafoam layer on each side, to help dissipate heat from the sleeping surface. In addition to these points, this mattress also has a very dense edge; nearly eliminating motion-transfer and decreasing the amount of "bounce" that a mattress is going to have. The Comfort Care line of mattresses has won at least eight straight Women's Choice and Consumer's Digest awards; for its quality and value. 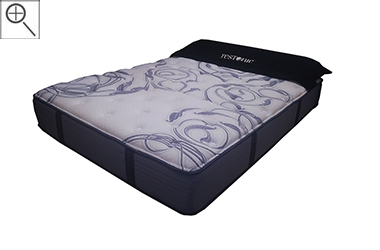 This is an ideal choice for anyone seeking a softer sleeping surface that's going to simultaneously offer them a strong and long-lasting coil unit. 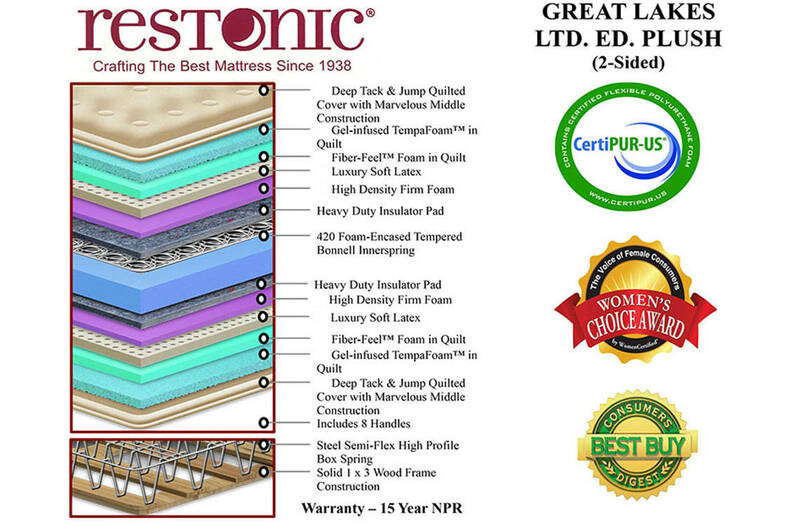 As with all of our Restonic Mattresses, the Great Lakes Plush is Made in the USA and can be made in custom sizes! 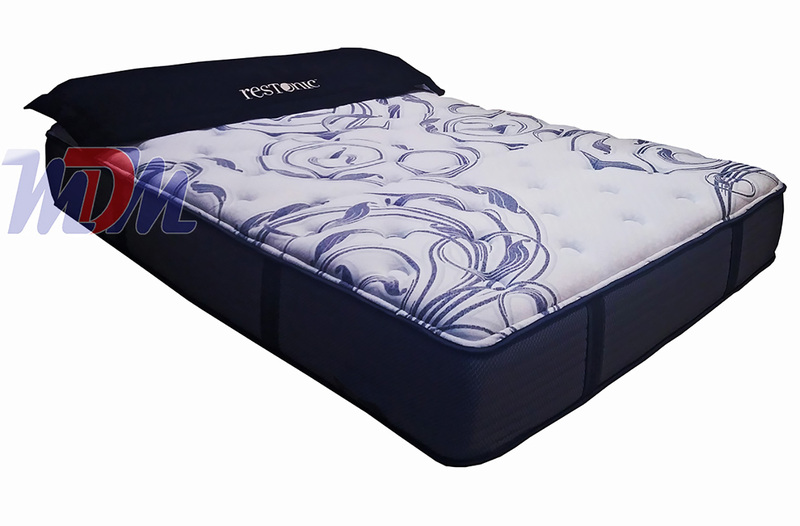 2" Deep Tack & Jump Quilted Cover with "Marvelous Middle"
The Great Lakes provides a soft sleeping surface but with a strong and long-lasting support system - with its heat-treated traditional Bonnell Coil system. Gel-Infused Tempafoam helps to keep from transferring your body heat while you sleep and both Latex and Soft Foam provide the lofty comfort that those seeking a softer mattress require. Double-sided mattresses are considered to provide more durability than those with no-flip design. This - like all Restonic Comfort Care mattresses - is a double-sided mattress. Considered Restonic's "Triple Threat" (Latex, "Marvelous Middle" Section and Gel-Infused Tempafoam) the Great Lakes offers practically anything that a mattress shopper could be looking to acquire.